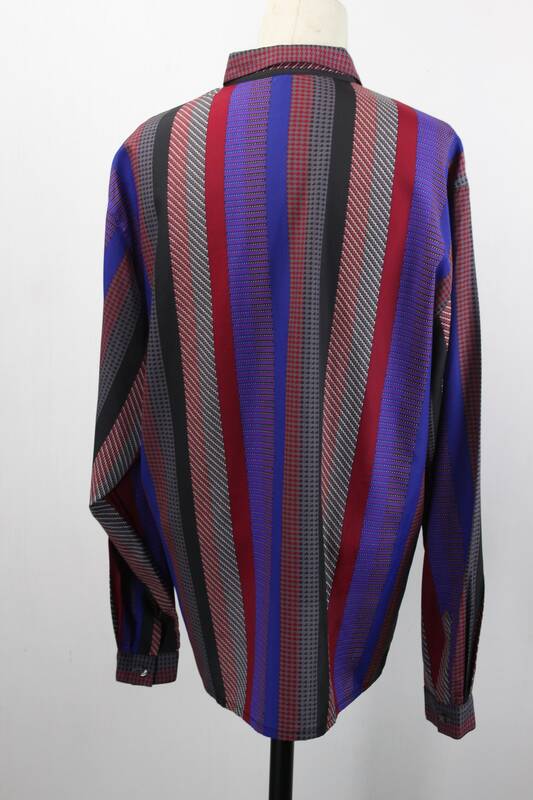 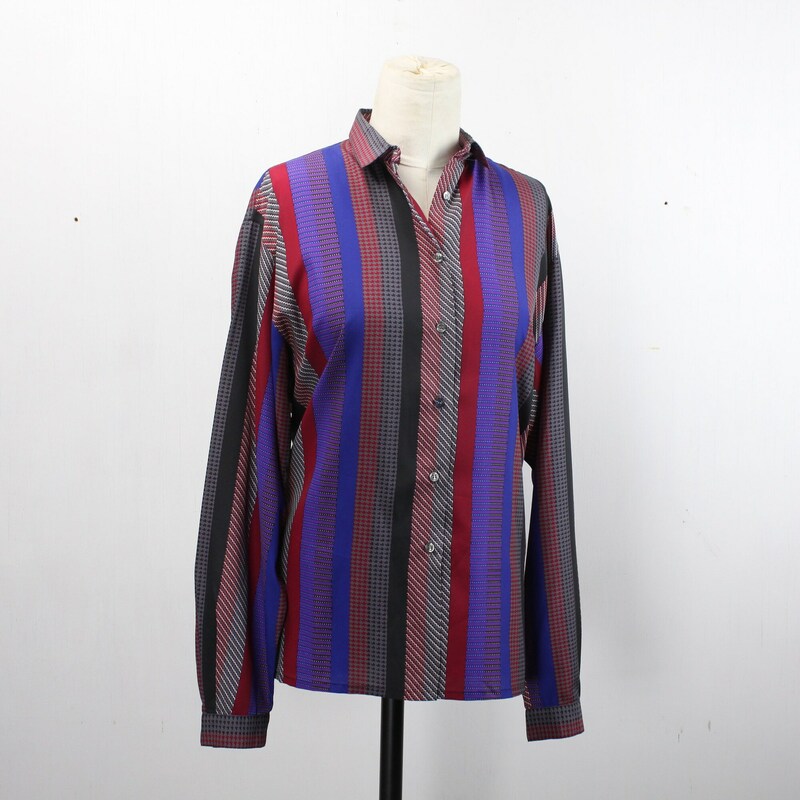 This vintage blouse by Jaeger is in stunning condition! 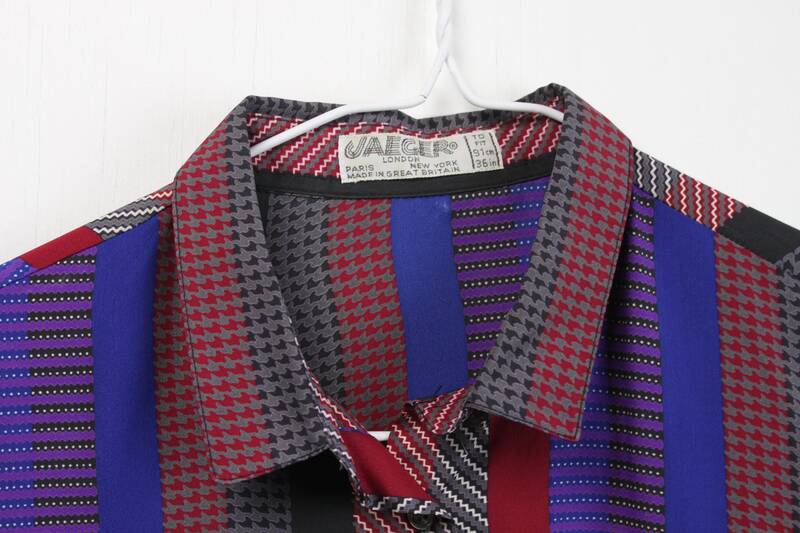 The blouse features a playful, confetti, multi strip patter & 1980's modern deco flair! 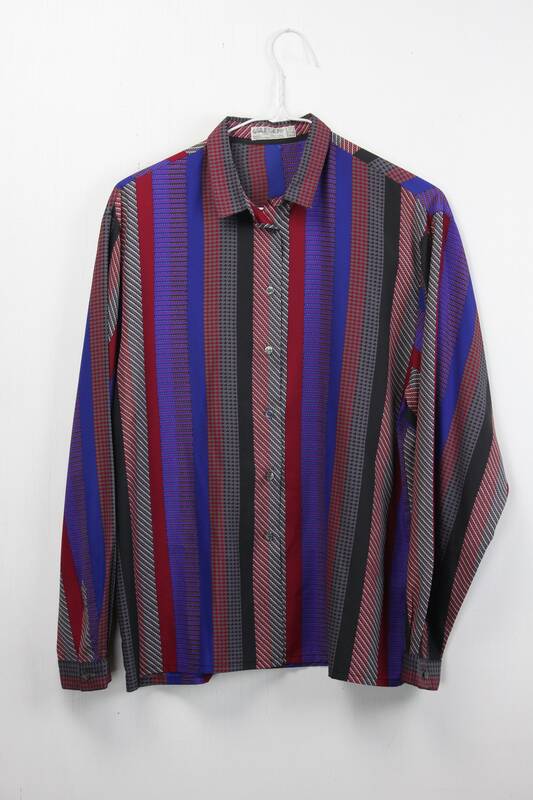 This shirt is the embodiment of 80's does 40's in all the best ways! 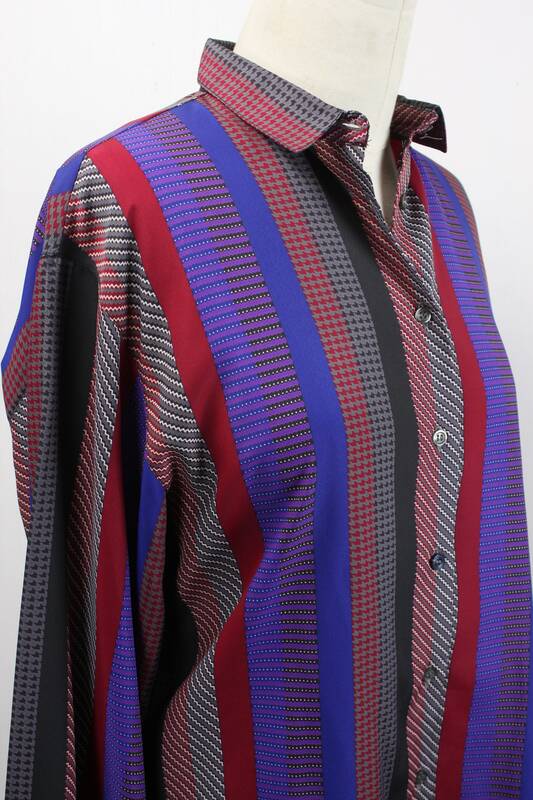 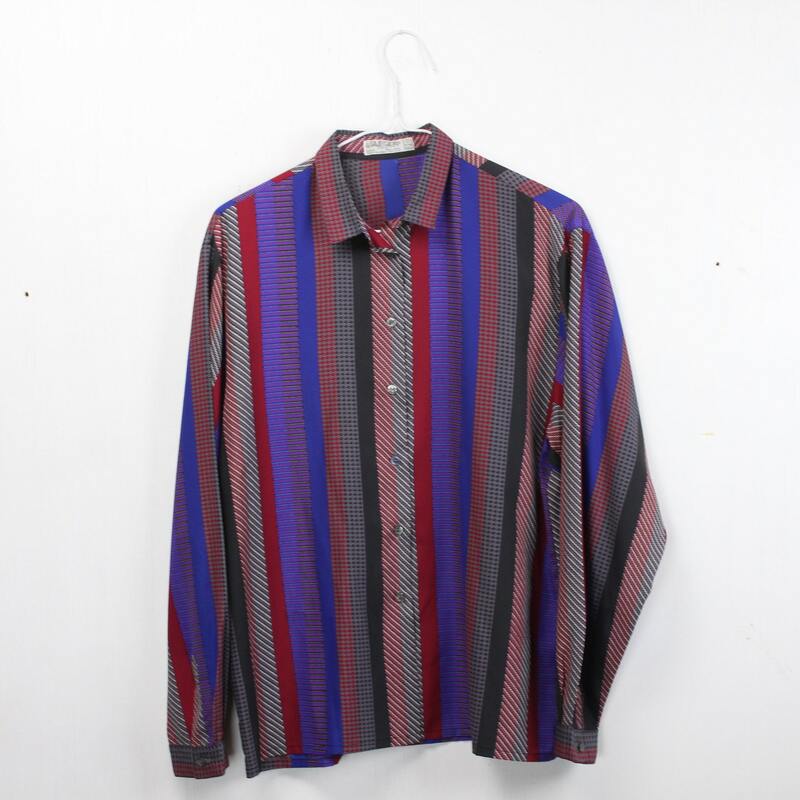 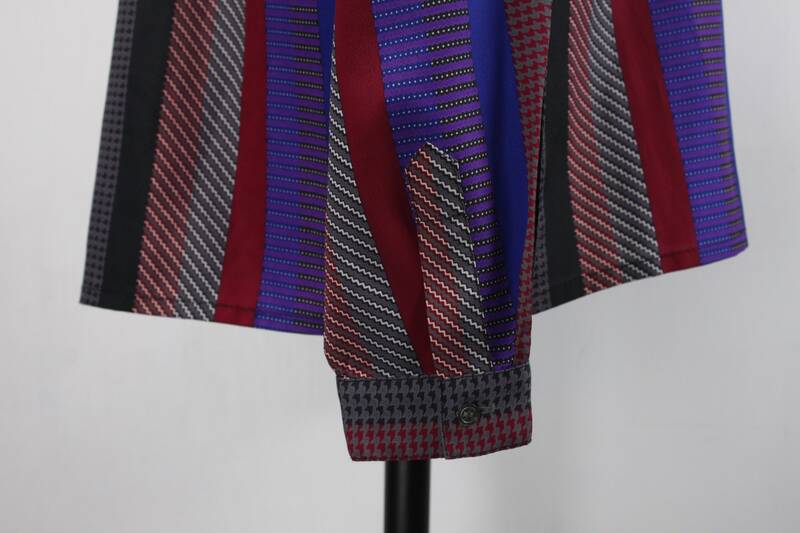 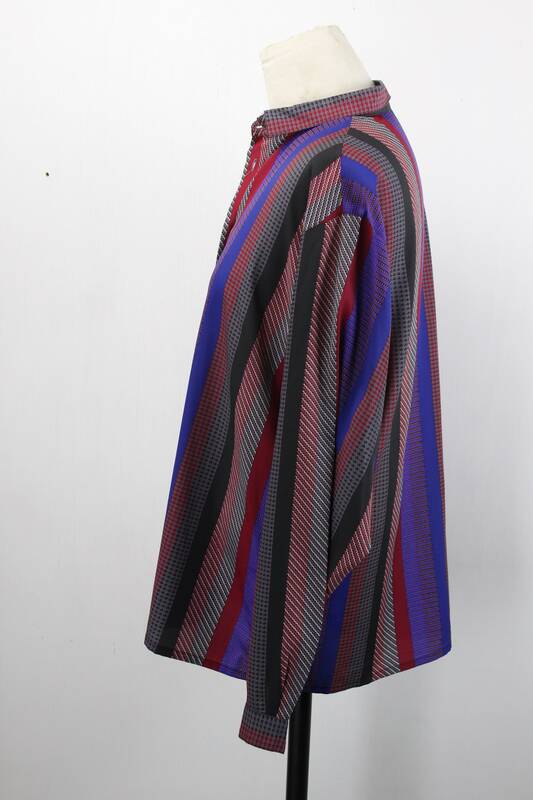 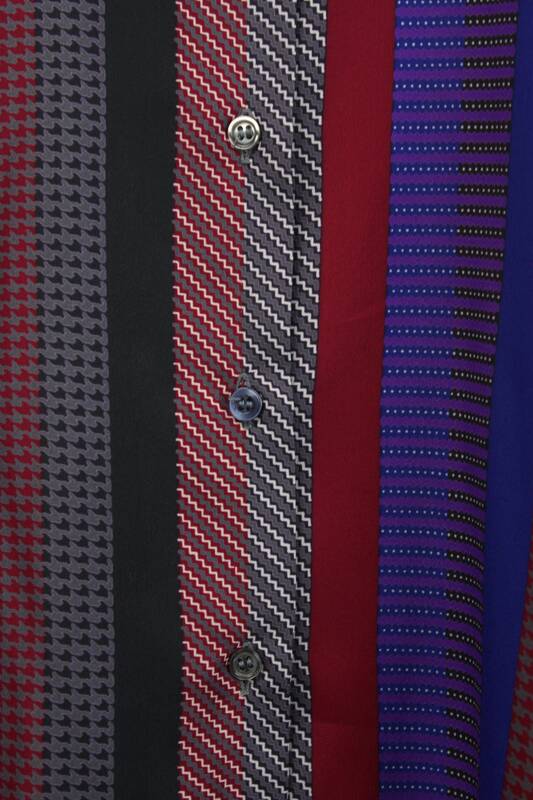 This shirt has a 7 button front closure, club collar, alternating band / confetti stripes and single button cuffs. 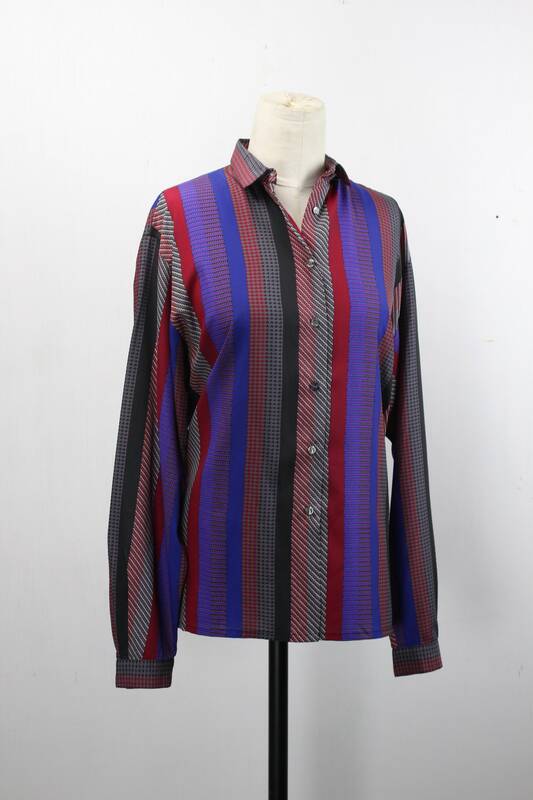 - Neck to hem: 25.5"
- Underarm to hem: 13.5"